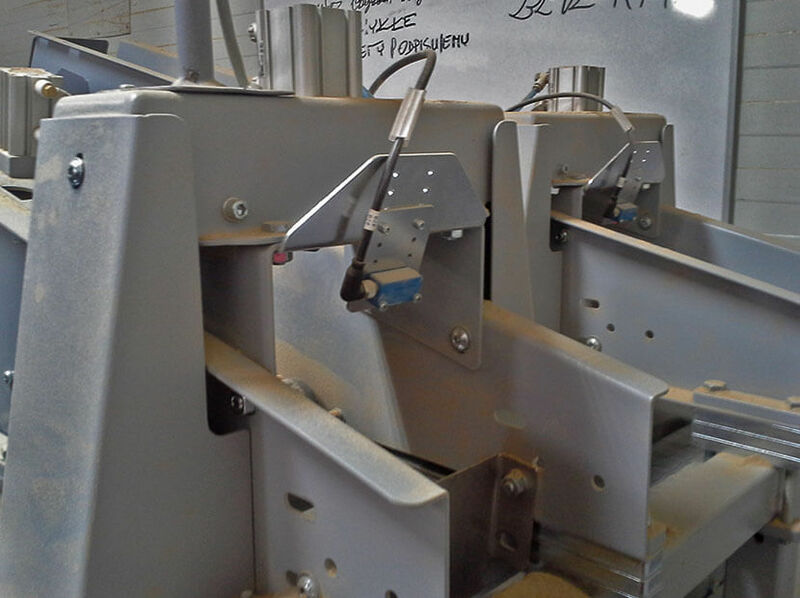 Our technical expertise serves our clients best when it comes to designing unique projects. 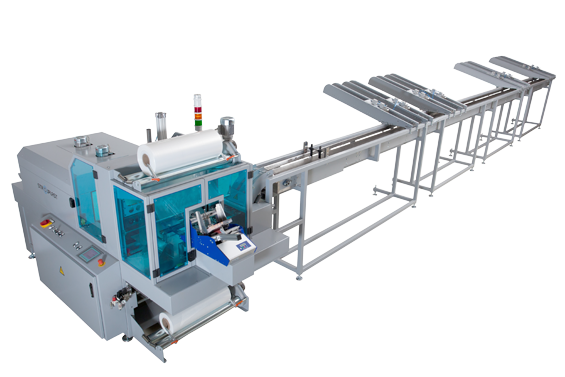 We are a partner that offers reliable solutions of feeding and discharging automations, product collations, leaflet inserting, etc. 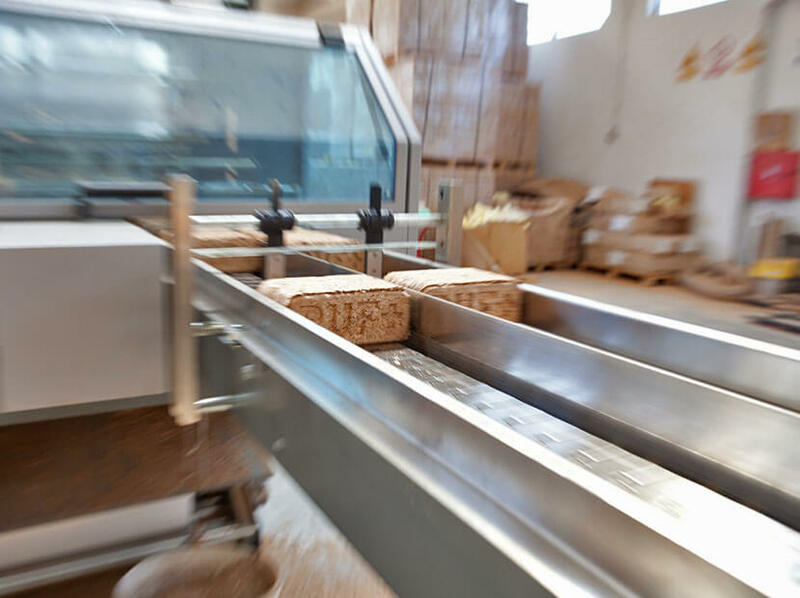 We also provide automatic palletization of packed products. 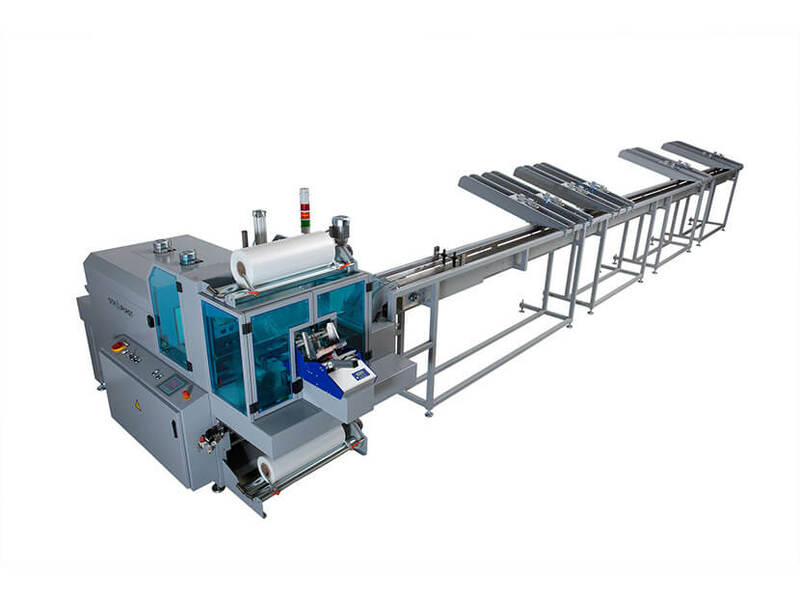 Packaging line is fully integrated with the production machine up the line. 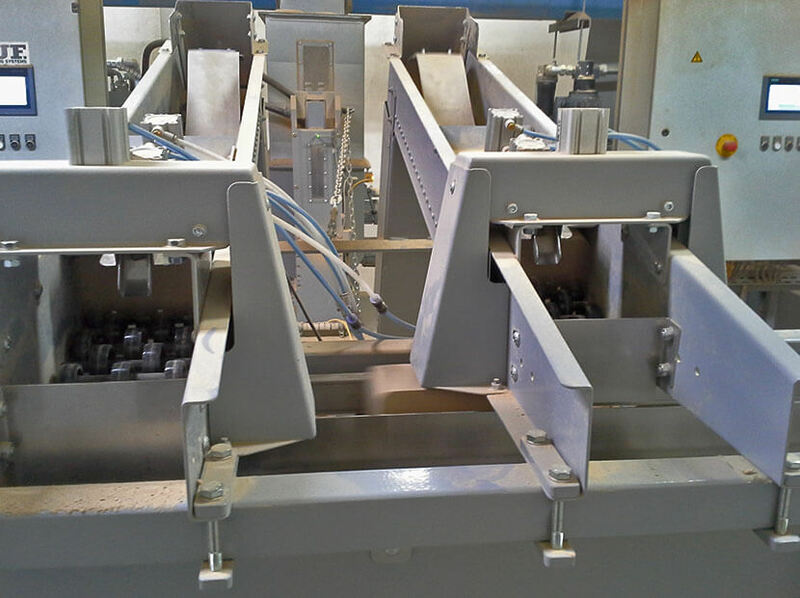 Reliable and effective connecting conveyor feeds industrial paper to packaging machine. 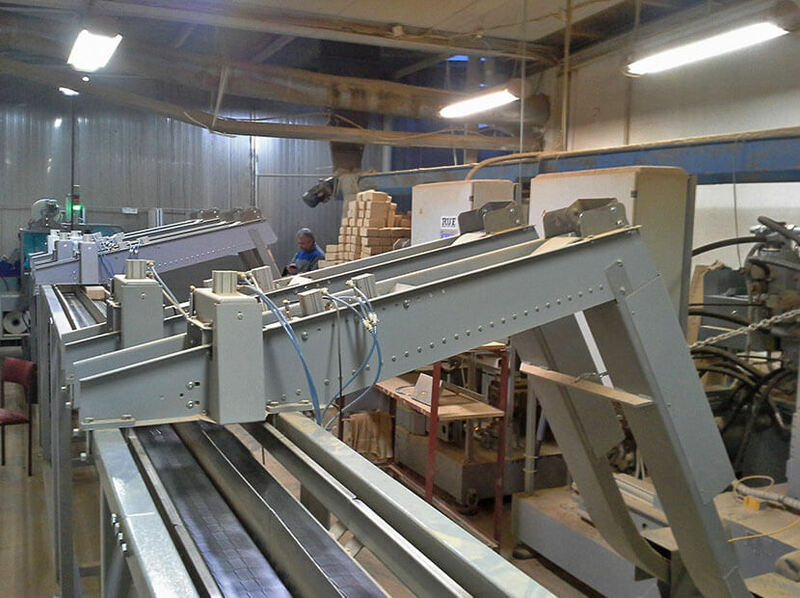 Machine is equipped with stacking device to form several different forms of bundles. 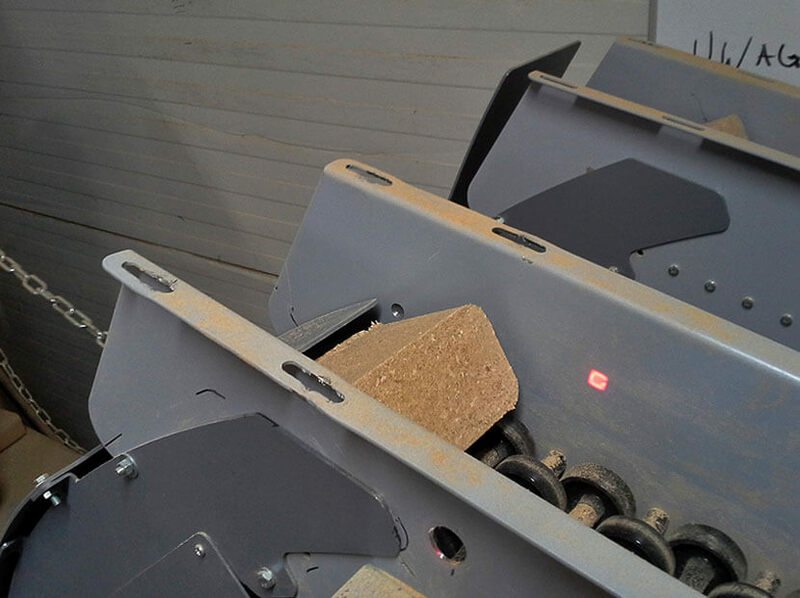 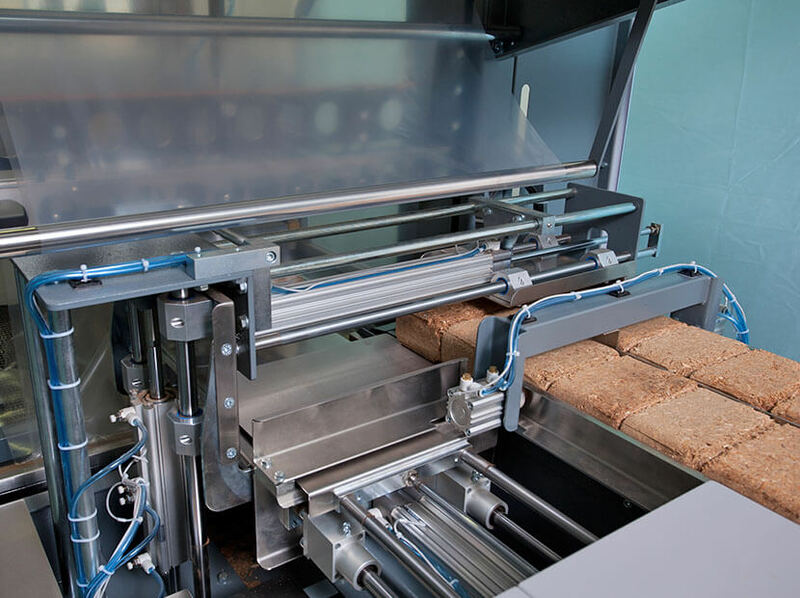 Shrink film packaging briquettes comprises conveyor belts connected directly to briquette presses and offers a reliable briquette conveying. 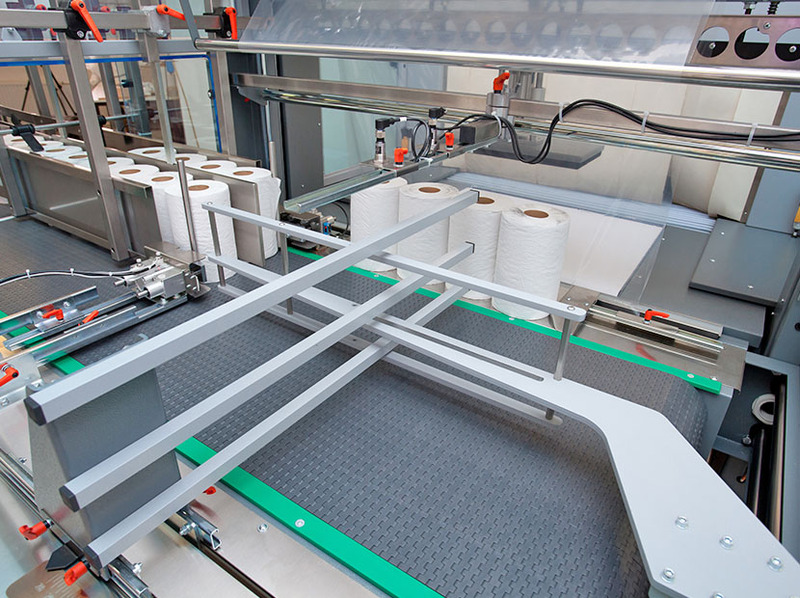 Integrated smart dosing system saves valuable floor space and achieves high capacities which offers flexibility to connect more presses – also in later stages. 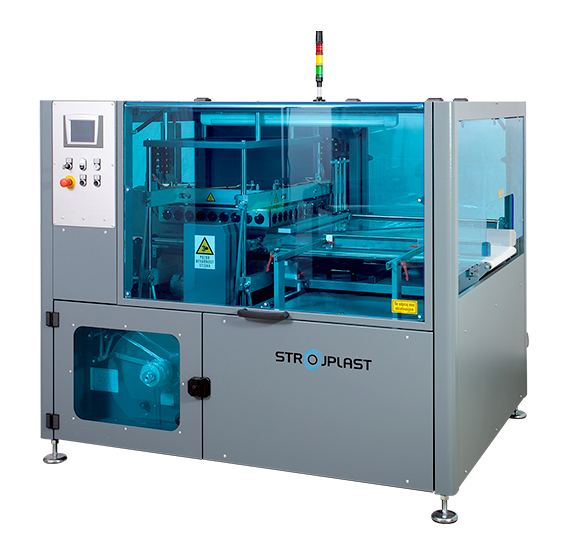 Our system offers a highly reliable 24/7 operation. 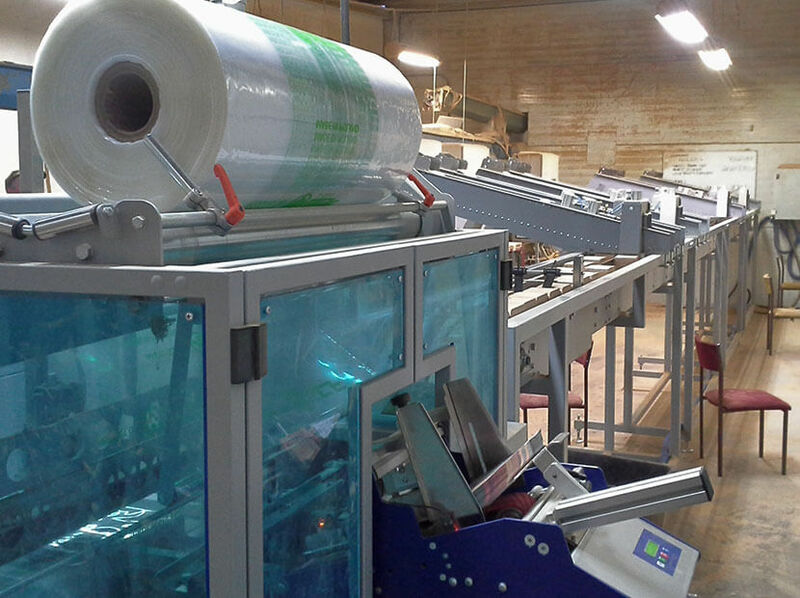 We develop machinery for shrink wrapping bigger products (doors, windows, boards, etc.) 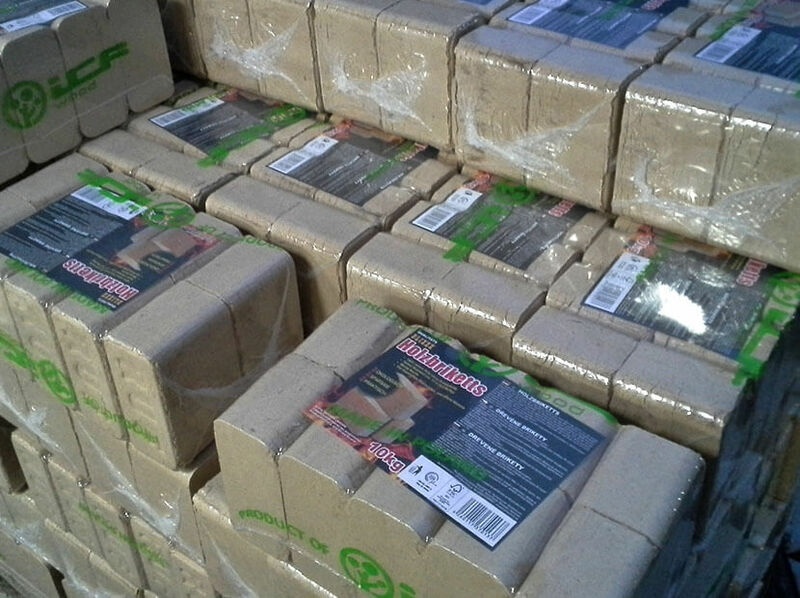 A packaging challenge presented here: 50 different sizes of cardboard boxes for packaging sinks presented a stock complexity issue. 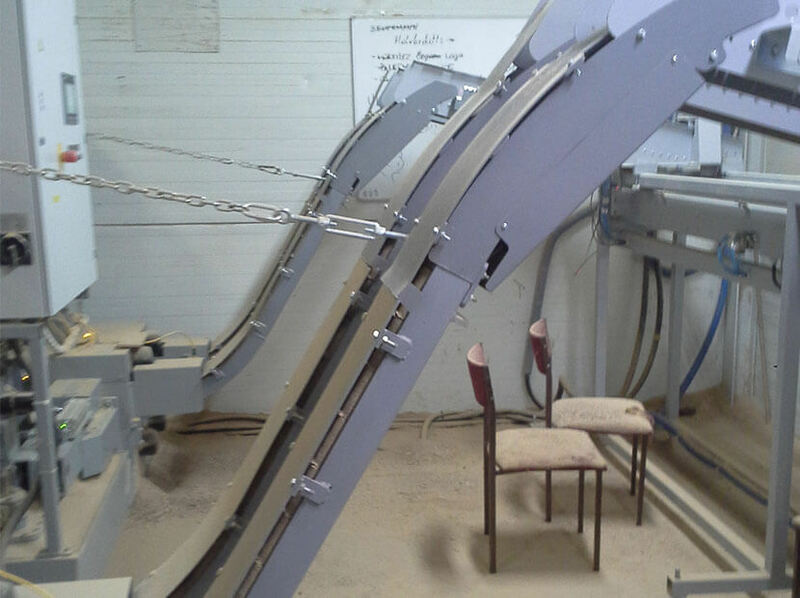 We proposed and developped alternative idea: only two sizes of styrofoam ends + styrofoam wedges + wooden sticks. 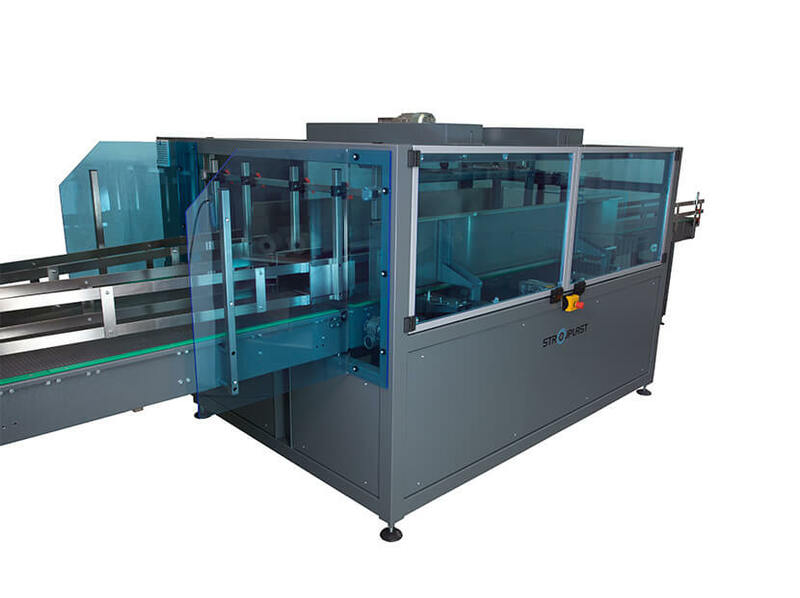 This solution comprises also special table (seen on the film) for assembling package before shrink wrapping it on in-line automatic sleeve wrapper. 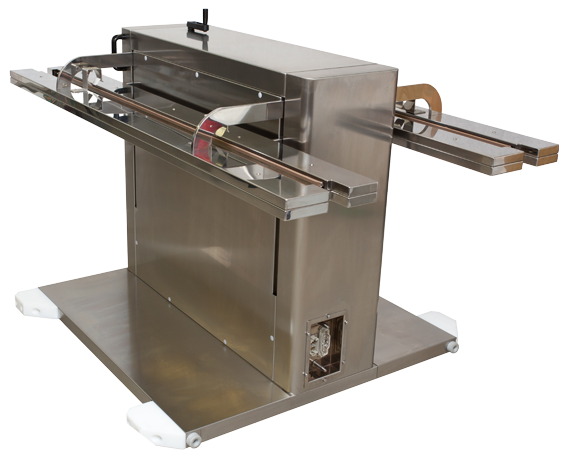 Automatic L-bar sealer can be custom built to fit into limited space on the production location. 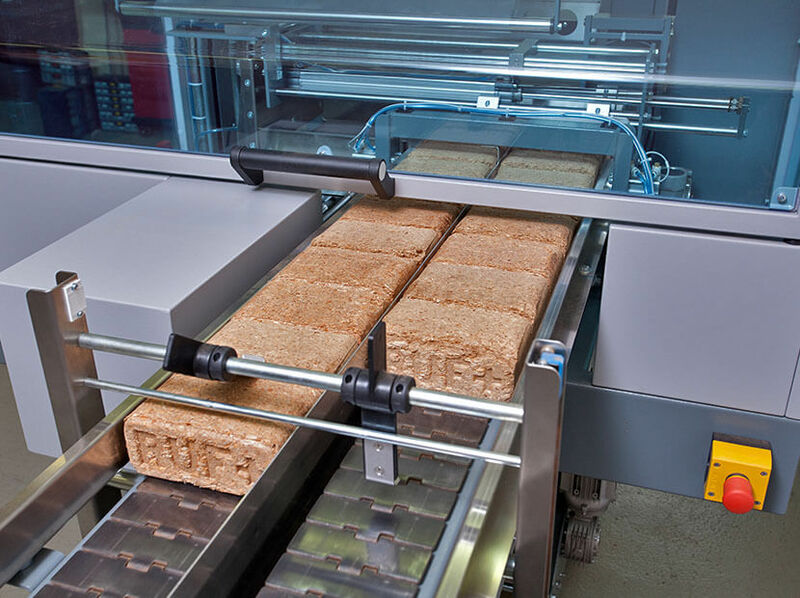 Transporting and manipulation systems can be added and integrated with machines that deliver products onto packaging machines - also in demanding cases such as sliced bread loaves exiting slicing machine. 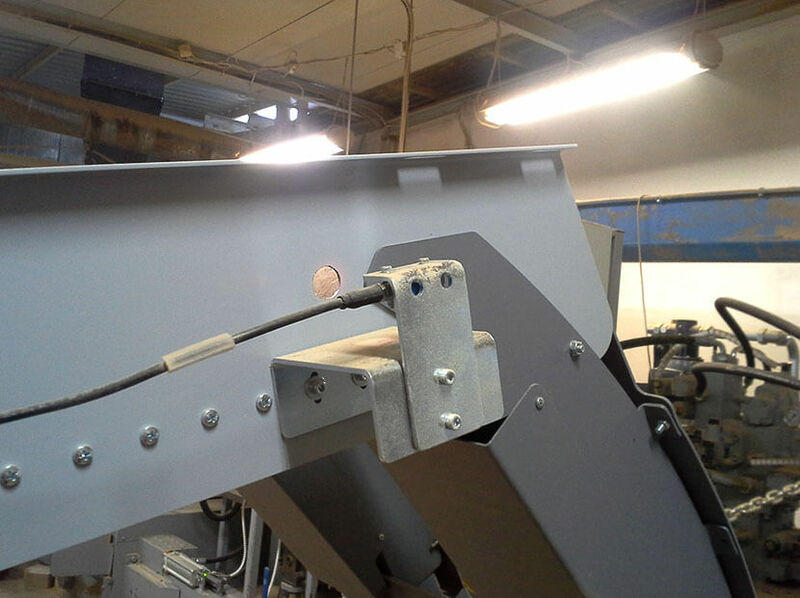 Integrated scale in front of semi automatic L-sealer to weigh product and assure all required parts are inside package. 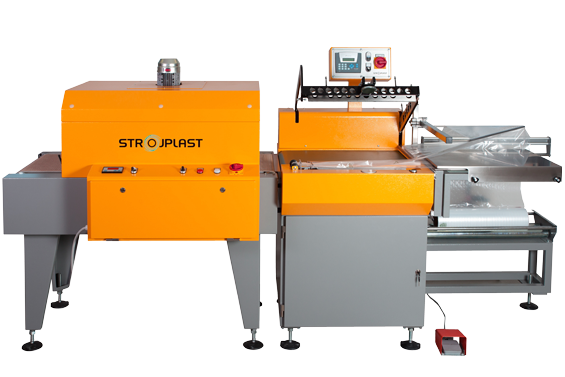 Customizing our standard packaging equipment is also a way of serving our customers. 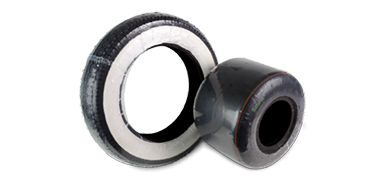 Packaging tyres is an example of customizing our simple, unique and cost efficient line of AirLess sleeve wrappers. 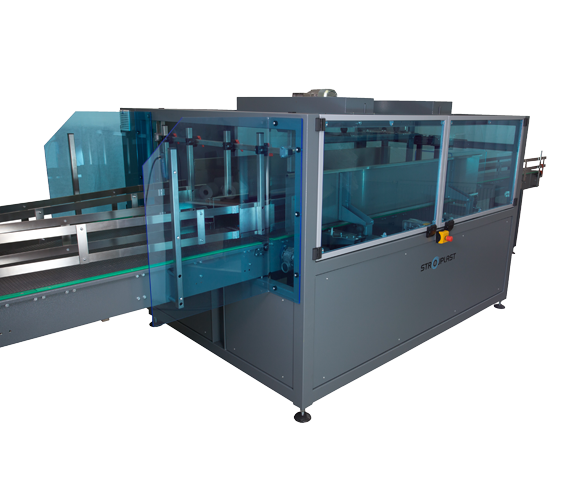 Tailor made industrial sealers are one more aspect of our possibility to adapt and serve our customers in best possible way.